It’s pretty cool to see the mark that missionaries have left on nations around the world, specifically China. Though the government takes full credit for China’s modern successes, history is paved with the deep sacrifices of missionaries who have loved the nation. In recent years it has become more common for political and religious leaders in China to acknowledge some of the positive aspects of early foreign missionary work in China. These usually include the building of hospitals and schools. This article, from the website Fuyingmen (Gospel Door) is about the contribution of Christianity to the medicine and education in Guangdong Province. 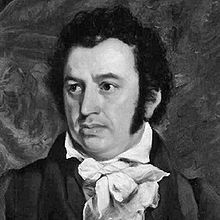 On September 7, 1807, the young British missionary Robert Morrison, secretly transported by the American cargo ship “Trident”, safely arrived in Guangdong Province, becoming the first Protestant missionary to arrive in China, and Guangdong became the first step in Protestant Christianity’s spread into inland China.